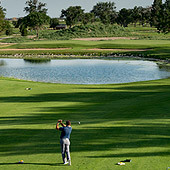 Whether your planning a golf trip or just looking for information on fantastic golf courses in New Mexico, Golf New Mexico offers several world-class golf destinations for your enjoyment. We'll book your tee times and set up your accommodations, all you have to do is get here. Have a group of 20, or just a few? We can handle your group booking or personal reservations. We invite you to navigate our site and view our showcased courses. Visit our Golf Packages and customize your tour, or select from our pre-packaged tours discounted to fit your budget. 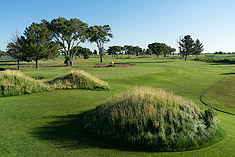 We look forward to serving you, and making your New Mexico golf experience truly enchanting. "You're not going to see to many public facilities like this in the country–it's phenomenal!"